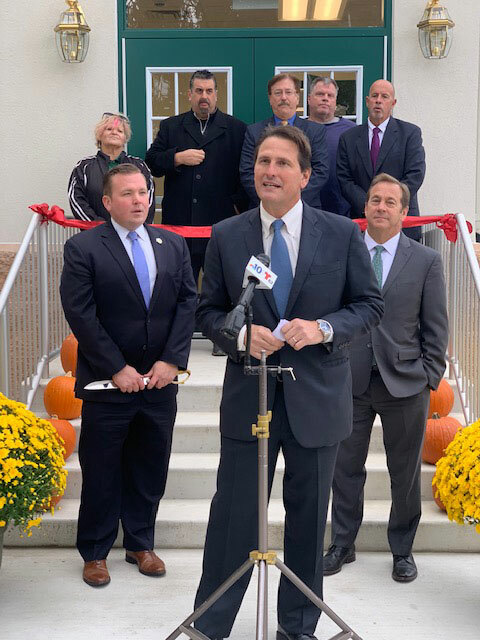 Mayor & Council together with the Camden County Board of Freeholders formerly opened the newly renovated Municipal Building today October 29, 2018. Many dignitaries, together with employees, were present and Mayor Kappatos thanked the county for their part in making the borough hall ADA compliant by assisting the borough in obtaining Community Development Block Grants. The borough hall is now accessible on all levels via a new hallway and an elevator.